PDX1 Defender has a proprietary bonding process that welds lead and jacket together to work as a unit controlling expansion and providing superior retained weight. 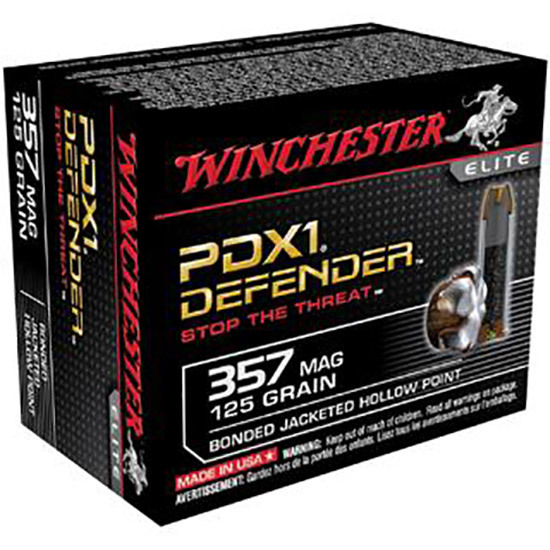 The hollow point works with the bonding process for outstanding performance through tough barriers. Jacket notching with six segments help promote positive consistent and programmed expansion at a variety of impact velocities and ranges. Copper alloy jackets are contoured for maximum expansion over a wide range of velocitiesranges.